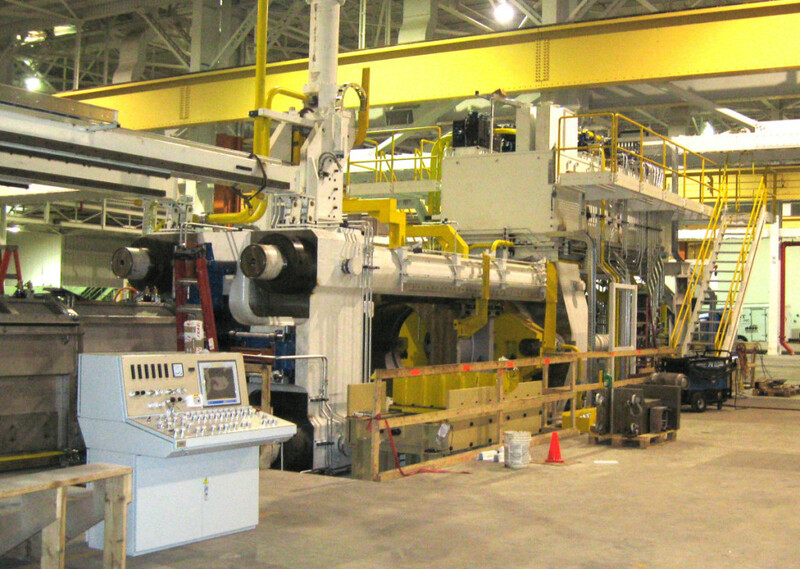 Kaiser Aluminum Extrusion Facility - Byce & Associates, Inc.
Design Program: Kaiser Aluminum Corporation, a producer of high-quality fabricated aluminum products for aerospace, custom automotive and industrial applications, recently redeveloped 264,000 square feet of the former General Motors stamping plant in Kalamazoo, Michigan; an $80 million state-of-the-art billet casting and extrusion facility. Components of the project included: an addition of a 4000 Ton extrusion press line, a 6000 Ton extrusion press line, a cast house, new office spaces, and loading docks. 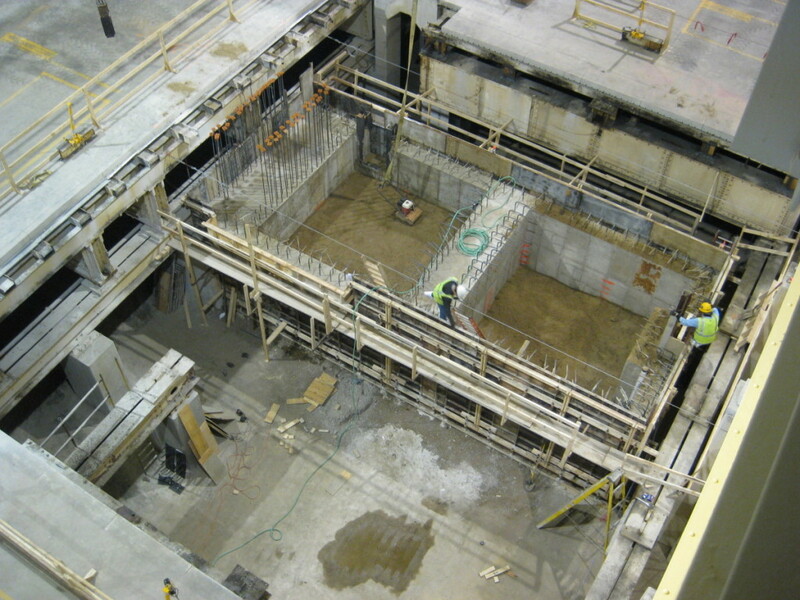 Design Challenges: The structural challenge for this project was how to construct major equipment foundations 18 feet above the basement floor. 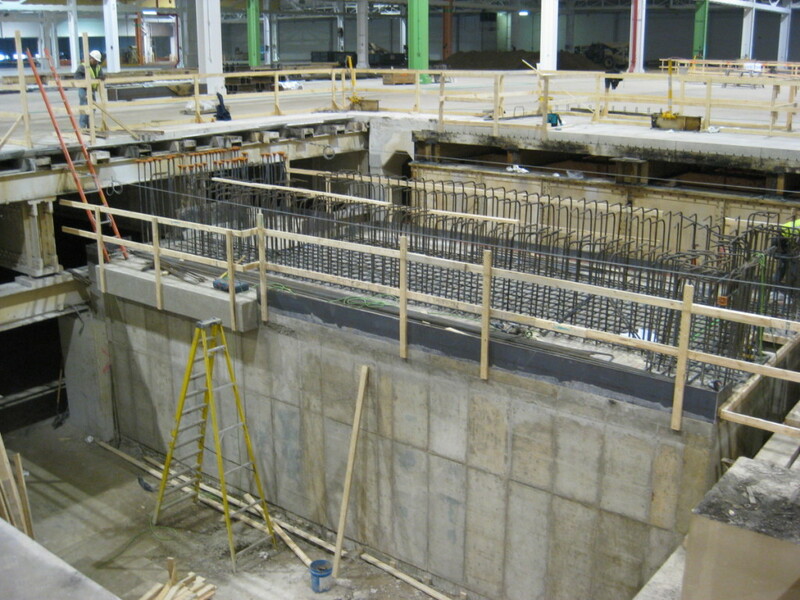 The Press foundations, stretching equipment, pulling machines, homogenizer furnace, quench boxes, billet storage area, die storage area and age ovens were all required to be located at the plant level. 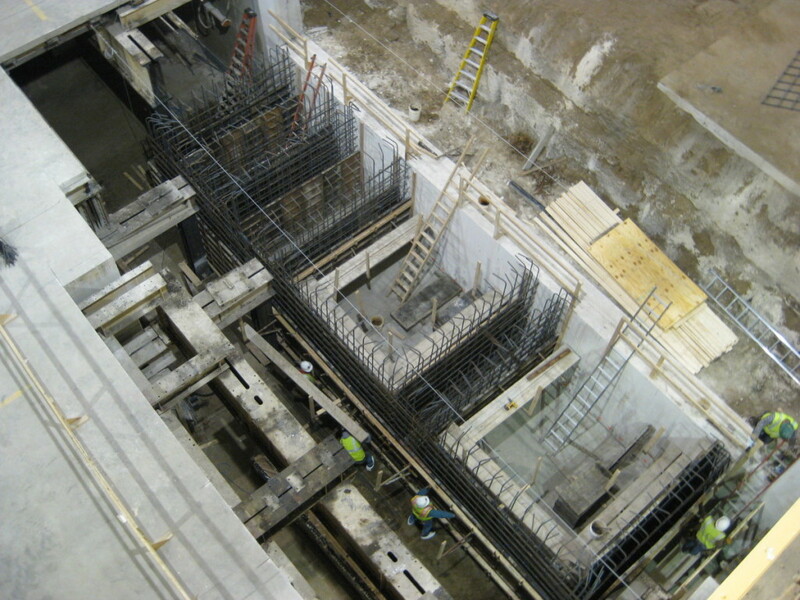 Consequently, the concrete press foundations, 25’x50’, needed to be constructed 22 feet above bearing level to rise up through the basement. 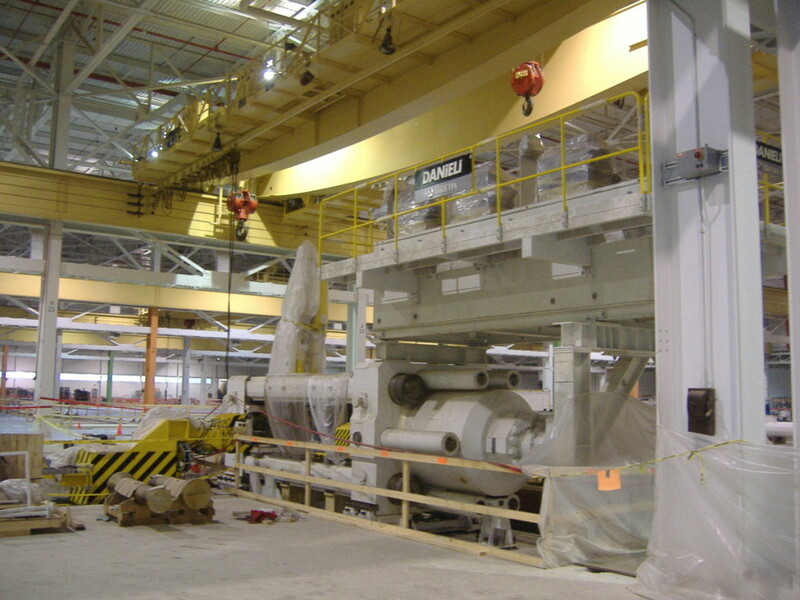 To support some of the extrusion equipment, existing 54” plate girders were reutilized. These plate girders previously supported General Motors stamping presses. 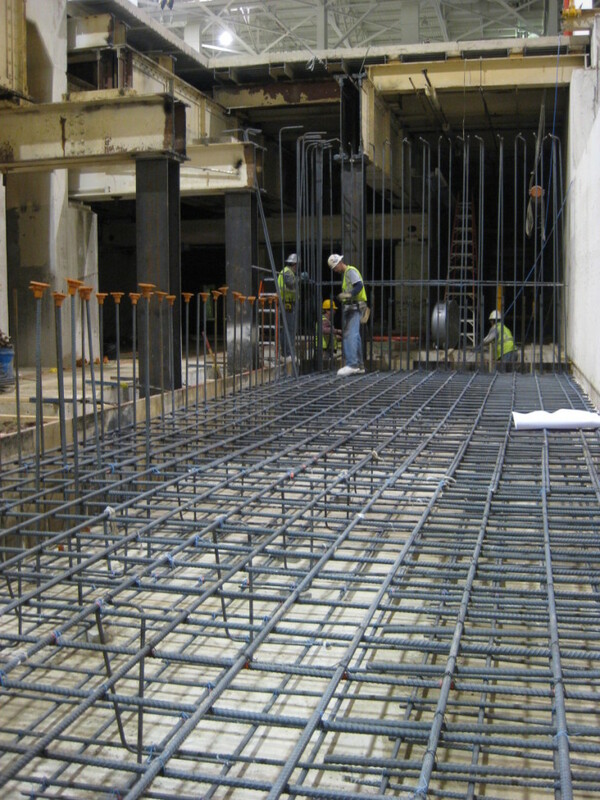 Another significant challenge was increasing the floor live load up to 2,000 pounds per square foot. 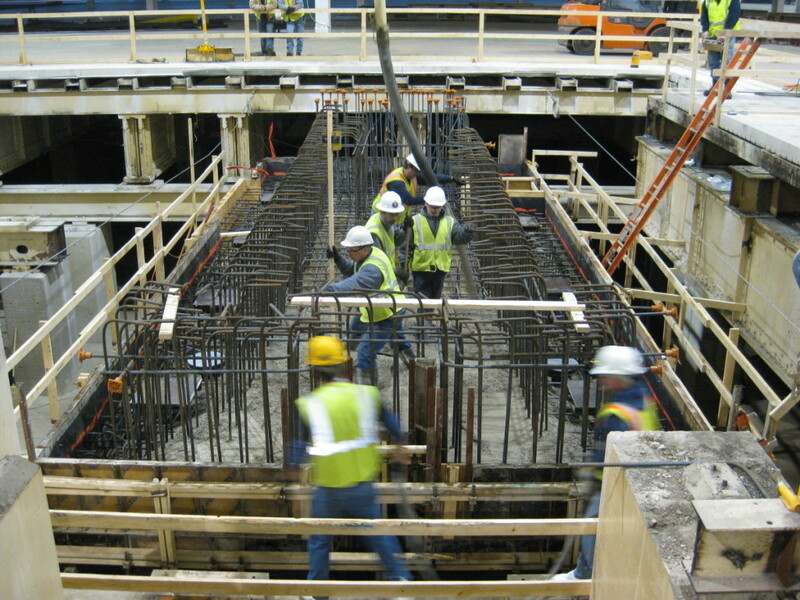 The existing floor structure designed by Byce & Associates, Inc. in 2004 was designed for 600 pounds per square foot and needed to be reinforced and rebuilt to support 2,000 pounds per square foot.